Various teaching positions to teach from Play Group to Grade 8 might be available in school from time to time. Interested candidates are requested to submit their CVs so that we can consider them for upcoming job opportunities. Our ideal candidate will be an exceptional teacher who strives to achieve success for all students at the school in this core subject. You will be responsible for planning and delivering high quality lessons and achieving excellent results for all students, instilling in them a love for the subject and a desire to learn. · have excellent English communication skills and hands-on experience in MS Office. 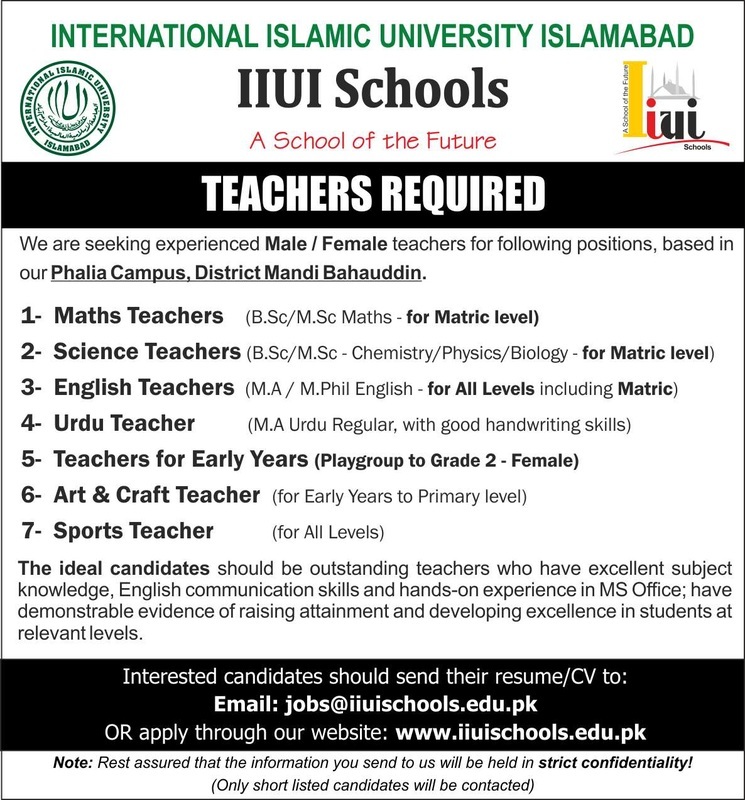 Click Here to Apply Now... OR Email your updated CV and Cover Letter to jobs@iiuischools.edu.pk and mention the position you are applying for in the subject section.